This is a used BlackBerry Tour in good condition. It has a some scratches and wear from normal use. Includes USB cable. 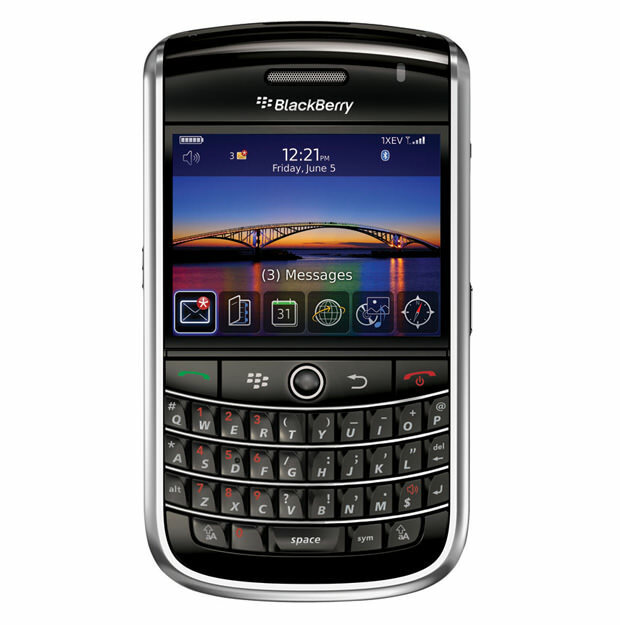 3G HSDPA 850 / 1900 / 2100; 2G GSM 850 / 900 / 1800 / 1900.QWERTY keypad, Trackball navigation, BlackBerry maps, Document editor (Word, Excel, PowerPoint, PDF), Media player (MP4/H.263/H.264/WMV/MP3/WAV/eAAC+/WMA), Organizer. Camera: 3.15 MP, 2048x1536 pixels, autofocus, LED flash. Video. Internal Memory: 256 MB. MicroSD expandable (8 GB max). Bluetooth 2.0 with A2DP, EDGE, GPS capable. Stand-by: Up to 336 hours, Talk time: Up to 5 hours.